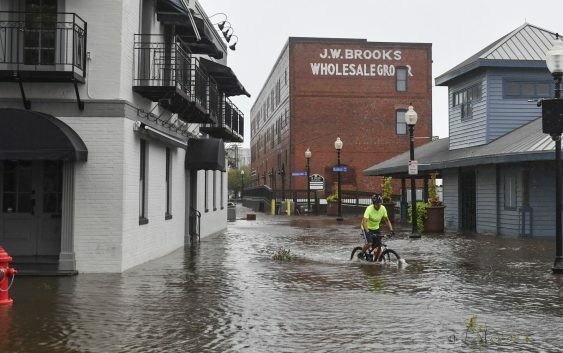 While Hurricane Florence didn’t pack as big a punch as expected when it made landfall, the way it struck the Carolinas could still bring significant economic damage. On Friday, JPMorgan said Florence may hammer the region economically, but is unlikely to affect the vast U.S. economy as a whole. “We believe that the effects of the storm could be significant for the impacted regions, but likely will be very small in the quarterly GDP data for the $20 trillion US economy,” the bank said, adding that September’s jobs report could see some modest “distortions” based on Florence. “It remains to be seen just how widespread Florence’s damage will be, but North and South Carolina’s combined output is larger than that of the Houston metro area, which was impacted by Hurricane Harvey in 2017, but less than half of that of the New York metro area, which was hit by Hurricane Sandy in 2012,” the bank wrote. However, Dan Leonard, The Weather Company’s senior meteorologist, told CNBC that Florence’s unique trajectory difficult to predict the resulting damage. “It came in from the east. Typically storms move from south to north,” Leonard told CNBC’s “On the Money” in an interview. While churning in the Atlantic towards shore this week, Hurricane Florence was a Category 4 storm, but when it made landfall Friday in North Carolina, it was downgraded to a Category 1. According to the National Hurricane Center, while a Category 4 has wind speeds of 130 to 156 miles per hour, Category 1 has winds between 74 and 95 mph. Early Friday evening, Florence became a tropical storm—but still left thousands without power and 7 dead. If the storm’s heavy rains continue, Leonard predicted some crops could be at risk. The Bureau of Economic Analysis estimates the combined size of North and South Carolina was around $730 billion in 2016, which JPMorgan said on Friday was a sliver of America’s entire gross domestic product. In a note on Friday, S&P Global Ratings said it would monitor “more than 50 local governments within North and South Carolina and we will likely expand the scope of our review to include Georgia, given the recent track of the storm. The federal government’s role in providing disaster assistance will be “a key component to stabilizing communities after a natural disaster, especially for areas with little-to-no support from private insurance,” the ratings agency added. 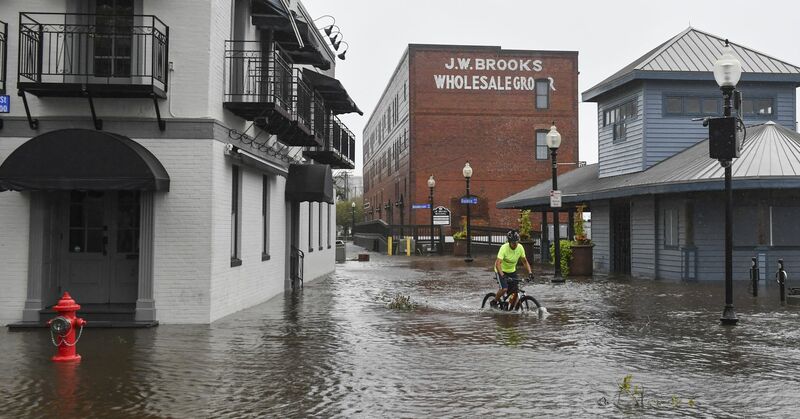 Meanwhile, the Carolinas’ economy has a wide swath of industries that may be impacted by Florence.”They actually have a diverse crop economy down there. You have everything from corn to soybeans to tobacco to cotton,” Leonard told CNBC. Heading into the harvest season, he stated he’s particularly worried about cotton. September represents the peak of hurricane season, and Leonard suggested the worst may not be over yet. “The last couple of weeks, true-to-form right during that peak climatological time for hurricanes, boom we had three, four develop just like that,” he said. Helene and Isaac are two tropical storms currently lingering in the Atlantic, while Subtropical Storm Joyce is floating around, too. Leonard told CNBC that storms could continue to develop “in the next few weeks” but may taper off into October and November. “We have a lot of high heat potential out in the Atlantic right now, so we’ll probably have several more storm systems,” he said. “But as we get later in the fall, I think we’re going to taper it off rather quickly…fingers crossed.” However, he doesn’t see a large mega-storm similar to Florence gaining strength. “This is really the peak, as soon as we get over the hump, things will start to taper down over the next one to two months,” Leonard predicted.